This time I taste the Suntory Hakushu 18yo. 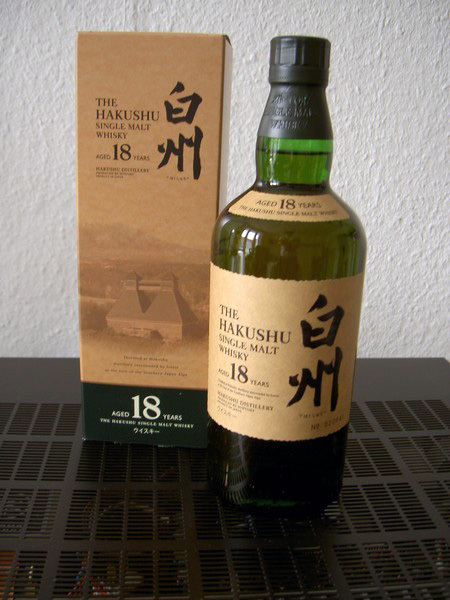 Hakushu (白州) is the second Suntory (サントリー) owned malt whisky distillery and a bit less known in the west compared to Yamazaki (山崎). The distillery itself is fairly new and opened in the 70s. Comments: The 18yo gains substance trough more oak influence but still remains fresh and immensely drinkable and imo ideal on a hot summer day.